What quality silk does Christine use? 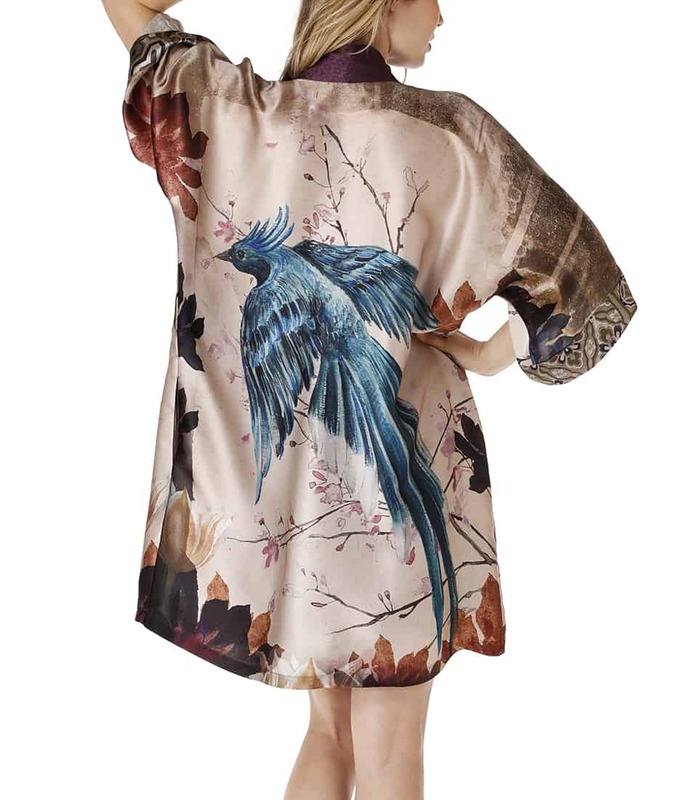 The Phoenix robe is made from beautiful, 14mm silk. Using a mild or natural soap wash in cool water for 3-5 minutes. Gently move fabric from side to side while soaking. Rinse with cold clean water. Remove from water but do not wring dry, instead lay flat on a towel, roll in towel to remove excess water then leave flat to dry. Do not put in dryer. CHRISTINE’S TIPS: Do not bleach. Do not leave in sunshine as fading will occur. Iron with medium heat on backside while garment is still slightly damp and do not spray with water while ironing.